I haven't said wow and wanted to jump on the phone with someone about a smoothie in a while. This is that time. 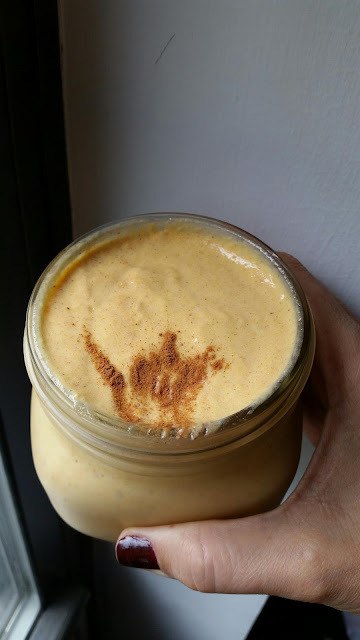 I just made and taste tested this epic sweet potato smoothie and it was so satisfying and nutritious and delicious that I can't wait to pass this on. You know who this smoothie is great for? Kids who don't like to eat their veggies. You can get an entire sweet potato and some healing spices into them before they even leave for school. 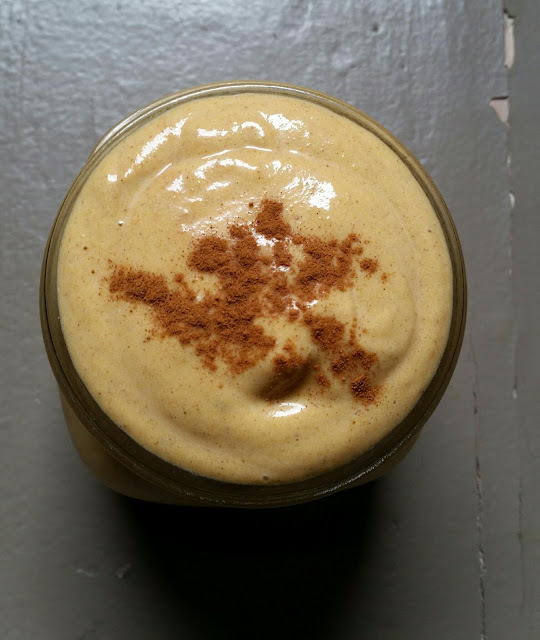 This is also the perfect smoothie for YOU who craves sugar but wants to eat healthy. Yum yum, my tummy is full. I wish the weather would feel a little more like fall even though I did have a flurry of really fun activities involving pumpkins and hayrides this past weekend. I was home for my high school reunion (20 years-omg!) and my mom and I took my niece to this local farm with a ton of fun stuff to do. We went on a hayride, picked a few pumpkins, ran through a maze of hay and got in all of the fall activities that is essential in October. I came back to the city today and realized I have a sweet potato that needs to be cooked. 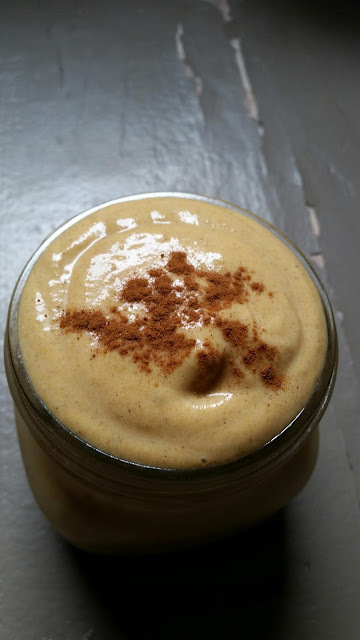 So, as I got ready to steam it, I realized how easy it would be to put into a smoothie and make a fall treat. Orange veggies are awesome because they contain beta carotene which is essential for a healthy immune system and healthy eyes and skin. Sweet potatoes have fiber and a ton of vitamins and minerals and they are sweet but don't cause your blood sugar to crash. I started eating sweet potatoes in the morning for breakfast instead of oats and I really dig the flavor mixed with peanut butter and some cinnamon. Steam the sweet potato, peel it then let it cool. 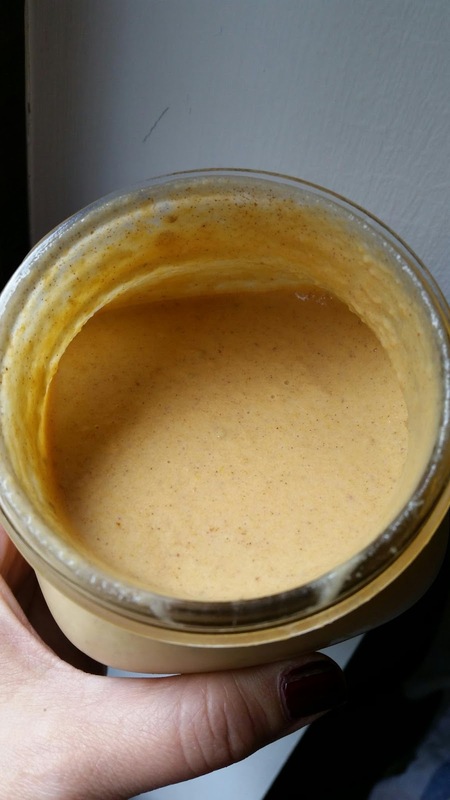 Combine the sweet potato in your blender with the other ingredients and blend on high. Add more milk to make it thinner. Pour and enjoy. It will be about 16oz so divide into two if needed. This smoothie is incredibly filling.